It has been way too long since Mary Lydon Simonsen, today's guest, visited my blog. It was back in April, 2013, when Ms. Simonsen was here talking about the cover of her then latest release, When They Fall in Love. Today I am thrilled to welcome Mary Lydon Simonsen back to More Agreeably Engaged. She tells us about her books with Darcy as a werewolf and shares an excerpt from her latest novella, Mr. Darcy - Bitten. I read the first book, Mr. Darcy's Bite and really enjoyed it. Ms. Simonsen's research on wolves was well done and her story was compelling. If you haven't read it, I highly recommend it. Now, let's learn more about this new release! 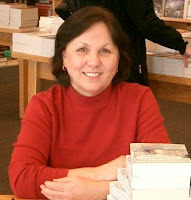 Thank you, Janet, for inviting me to write a guest post on your blog. It’s always a pleasure. 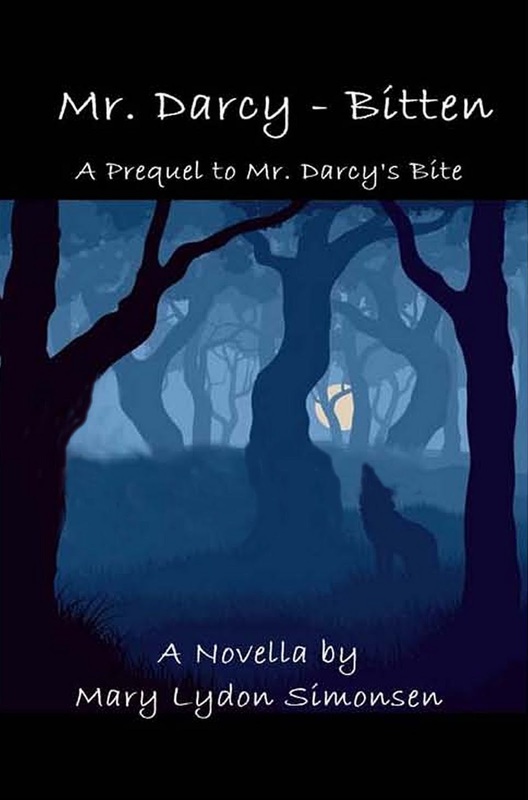 In 2011, I wrote a novel, Mr. Darcy’s Bite, published by Sourcebooks, in which Mr. Darcy is a werewolf. I have to say that of all my books, Mr. Darcy’s Bite is my favorite because it is a story of love and acceptance. When Elizabeth consents to marry Mr. Darcy, she is also agreeing to accept everything that goes with being the wife of a man whose life is dictated by the cycles of the moon. His secret becomes her secret, and she must protect him. The response to the story was positive, and so I published a sequel, Mr. Darcy Bites Back. In that novella, someone from Mr. Darcy past puts all the pieces of the puzzle together and realizes that the Master of Pemberley is a werewolf. Not only is Darcy threatened by the villain’s knowledge of his second nature, but everyone he holds dear is also in danger. Although she liked Elizabeth very much, the risks must be addressed. Darcy shook his head. To the contrary, when he had last seen her at the Netherfield ball, Elizabeth had walked off the dance floor in a huff as the dance had ended on a sour note with a discussion of George Wickham and Darcy’s supposed mistreatment of the son of his father’s steward. But knowing of her situation with regard to the entail, and because of the obvious benefits of such a match, surely she would accept his offer, that is, if she could accept the fact that, for two days during each lunar month, he became a creature of the night. In his mind, he saw his altered state as the only impediment to success. In order for this to work, he needed Anne’s help. With her nephews in residence, Lady Catherine would have no need to send for the Collinses and their guest to entertain her. Anne must make sure that Elizabeth was invited to dine at Rosings. Even with Anne’s words of caution, Darcy was determined to do this for one simple reason: he could not imagine life without Elizabeth Bennet. You may ask why I don’t put all three stories into one novel? The problem is that while Mr. Darcy’s Bite was published by Sourcebooks, the sequel and prequel were published independently by me! That’s the bad news. The good news is that Sourcebooks has temporarily reduced the price of the e-book of Mr. Darcy’s Bite to $2.99. As a way of celebrating the release of Mr. Darcy – Bitten, I am giving away a set of Mr. Darcy – Bitten, the prequel, and Mr. Darcy Bites Back, the sequel just in time for Halloween. Please leave a comment and an e-mail address where I can reach you by October 23rd. There you have it, Dear Readers! Oh, Mary Lydon Simonsen, I am a fan of your books! This sounds like a must read and I can hardly wait for the chance to do just that! I truly love wolves and they hold a soft spot in my heart. Since I love Mr. Darcy too, this a great combination for the paranormal adventure. It is perfect timing with Halloween coming soon. Thank you so much for stopping by today and for offering such a generous giveaway. Please do not wait so long to visit again. Readers, do not forget to leave an email address in your comment to be entered in this giveaway. Please take note that it ends earlier, at 11:59 PM, the 23rd of October. Hi, Mary! I love Mr. Darcy's Bite! Can't wait to read Mr Darcy - Bitten! Congratulations on its release! Hi Janet. Thanks for having me on your blog. Love all your books and am excited about reading this new "JAFF paranormal"
Congrats on your newest novel, Mary! I can't wait to read it! Thanks, Pam. I appreciate it. All your books are great reads! Thanks, Christina. We go back a long way! Christina, I think she's calling you old! This one sounds as good as the first one! It was a great read as I read it when it first came out! Thanks, Mary Ann. You are one of my most faithful readers, and I appreciate it. 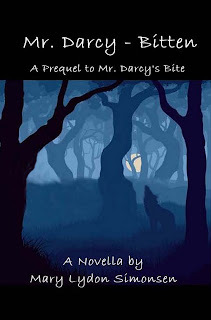 I have read "Mr. Darcy's Bite" and "Mr. Darcy Bites Back" so I would love to read "Mr. Darcy - Bitten" to learn more about how it all began. You're in the giveaway. Thanks for reading my stories. I'd love to win! I read Mr. Darcy's Bite and Mr. Darcy Bites Back a while ago and loved them both! Thanks, Allison. So glad you enjoyed my stories. 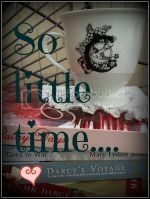 I was enchanted by Mr. Darcy's Bite when I read it and loved reading the prequel scenes on Mary's blog as a serial. I look forward to getting all the extras now that it is published as a prequel novella. Thanks, Sophia. You are the best! Hi Mary, I love your werewolf series! It such a fun paranormal tale of P&P and very believable! Thank you for the giveaway! Thank you, Nicole! I'm happy to have you visit. Congrats on the release of this Austenesque novella, Mary! I haven't had the chance to read Mr Darcy's Bite yet but I have read her other P&P novels like Searching for Pemberley, The Perfect Bride for Mr. Darcy, A Wife for Mr. Darcy and Darcy Goes to War and I love them all. Though I'm a day late, I hope to be considered for this giveaway. If not, it's ok. Skin color associated issues which are right now entirely reversible as a result of effortlessly derived natural skin care La and orange county Josef Richler I like health and fitness Acnezine as well as exhibiting other folks how to reside healthy life Wave served numerous other folks obtain his or her health aims through searching for solutions clear of toxic compounds as well as substances which.